The orientation period* is included with all our volunteer programs, and is intended to give you a comprehensive overview of the history of Palestine/Israel, and the current political situation, before settling you in to your host community to begin your volunteer work. All our Orientation sessions begin on Sunday morning at a guest house in Central Jerusalem. You'll be notified exactly where to go when you receive your Introductory Package of information after acceptance into the program. We recommend that you arrive at least one day in advance in order to settle in and get over any jet lag. Day 1 - Sunday - 08.30am - Arrive at your designated guest house (if you are not already staying there), and meet our Volunteer Manager for quick introductions. 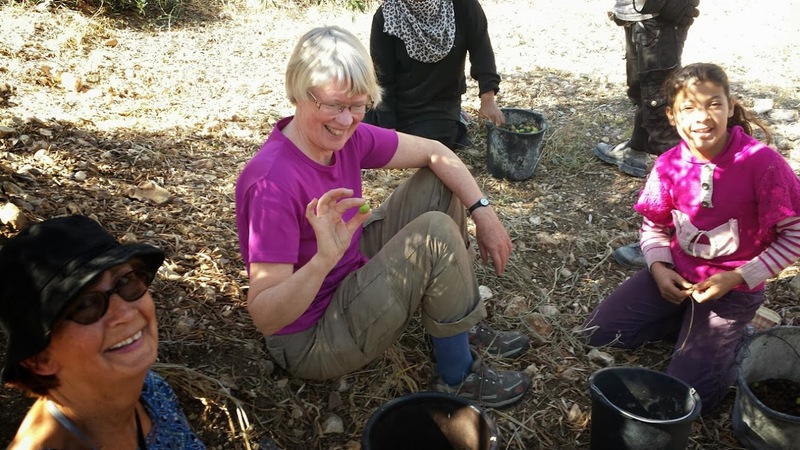 A Green Olive guide will pick you up for your tour of West Jerusalem. 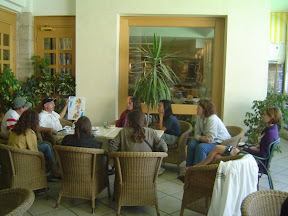 In the evening you'll have a meeting with the Volunteers Manager for further discussions about your volunteer project. The West Jerusalem Tour is designed to introduce you to life in West Jerusalem, covering the history of the city in modern times, the intricacies of Israeli culture, and visiting several neighborhoods that illustrate the mosaic of Israeli Jewish society, from the ultra-orthodox, to the secular. The guide will begin with a briefing with maps, that will cover the development of the city in the 19th and 20th centuries, from the Ottoman times, British Mandate, the establishment of the State of Israel, and the conquest of East Jerusalem in 1967. You'll pass through the Musrara neighborhood which was an Arab community until 1948, after which a large population of 'Sephardi' Morrocan Jews settled there in confiscated homes. Today there is a mixed population of ultra-orthodox and Middle Eastern Jews, and a growing population of artists and bohemians. The nearby Ultra-orthodox neighbourhood of Mea Sharim is a large closed community of pious Jews who dress differently than most Israelis, and shun normal contact with the largely secular israeli society and the outside world in general. You'll learn about the intricacies of their culture, and see a little about how they live. Walking along Jaffa Road and the neighbouring Street of the Prophets the tour explores the first monuments, businesses and historical events that shaped modern Jerusalem. The route will illustrate the story of a city that went in two generations from medieval to cosmopolitan to a city divided by new and violent national lines. 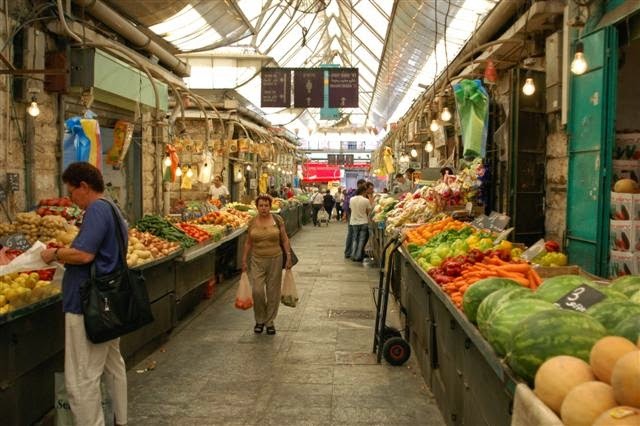 Lunch will be in the bustling Machane Yehuda market where a cross-section of Israelis can been seen shopping. It is the largest outdoor market in West Jerusalem. After lunch you'll hop on the tram to Mount Hertzl. Herzl was the founder of the Zionist movement. The plaza around Hertzl's tomb is the site of the annual ceremonies of which begins in somber remembrance and continues with parades and fire works for independence day. From here we will walk down the hill to the other part of the memorial – the Yad Vashem holocaust museum. Looking at the ways Israel chooses to tell its history, and at the things it choses to leave unsaid is a powerful way of learning about national ethos and the way that history is constructed by ideology. You'll return to Central Jerusalem via the tram. You'll be picked up by our guide from your hotel in Jerusalem and brought to the Old City. There will be a briefing on the history and current status of the Israeli Occupation of the West Bank, illustrated with maps. 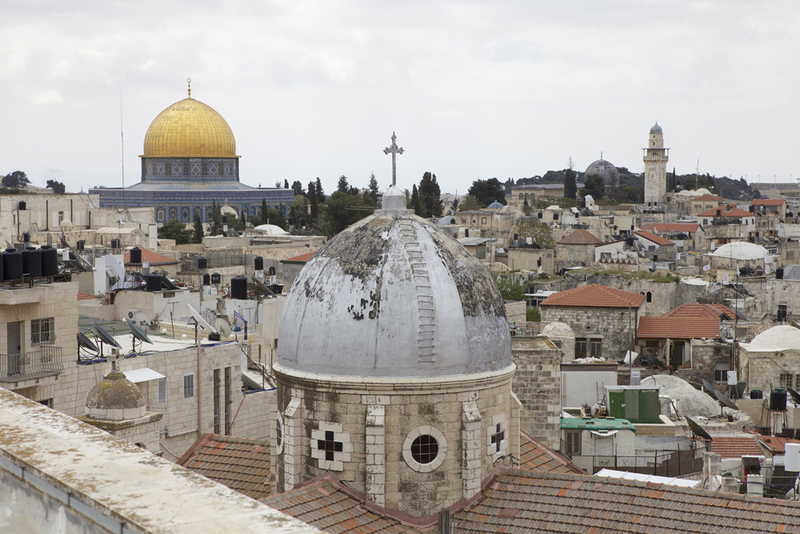 You'll then take an alternative tour of Jerusalem's Old city, taking in the Western Wall and the Church of the Holy Selpuchre in addition to seeing the Israeli settler homes that have been sprouting in the Muslim Quarter. You'll learn about the implications of Israeli encroachment into Muslim areas of the Old City and surrounding neighbourhoods. After lunch you will go on the road for a tour of some of the suburban Jerusalem settlements, Palestinian neighborhoods, the Separation Barrier, and segregated roads. These will include Pizgat Ze'ev, Har Homa, Beit Hanina, and Anata. You'll drive through Ma'ale Adumim, one of the largest settlements in the West bank (pop. 35,000). You'll depart from Jerusalem and be taken to your host community by the Volunteers Manager, to begin your volunteer work. The day will include touring the host community, meeting the principals of your host organization, and settling in to your new accommodations.